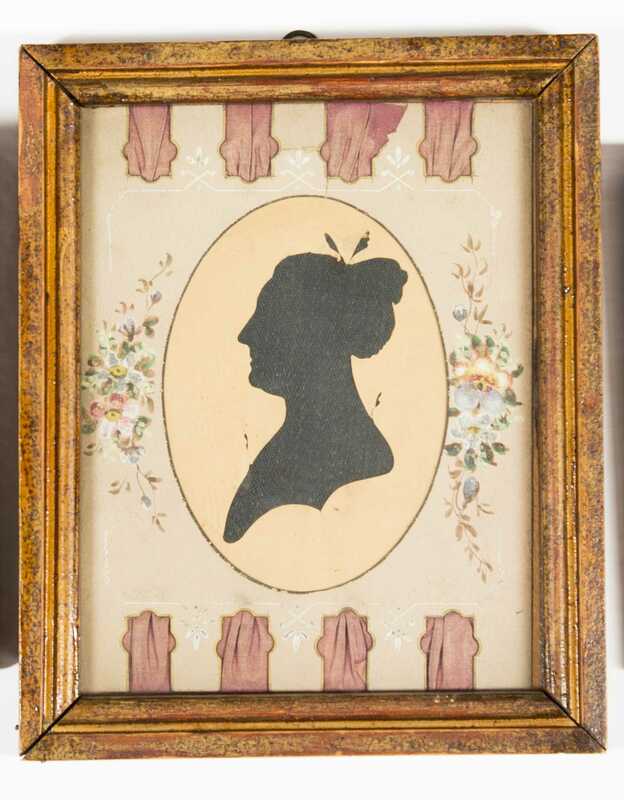 Lot of Four 19thC Female Silhouettes, A) Large cut profile with painted and cut ribbon matt, 10 1/4" x 8 1/4" overall. 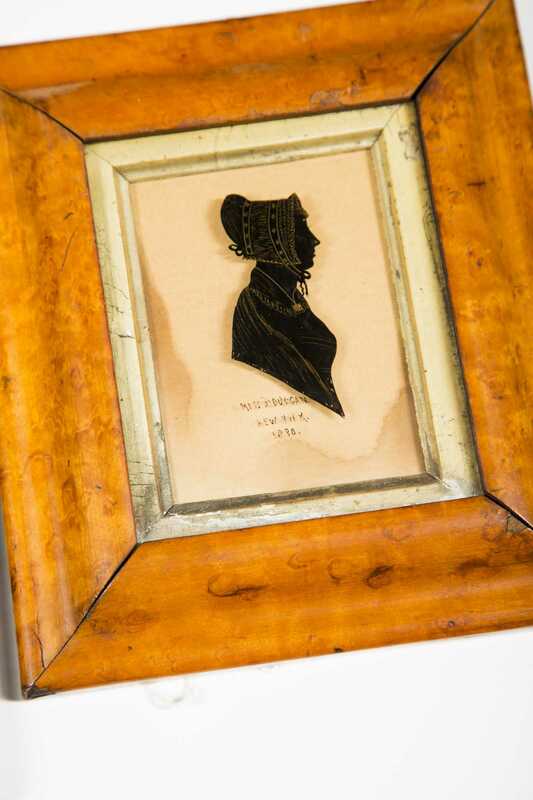 B) Reverse painted profile (silhouette) of a lady in a bonnet inscribed "Miss J. Duggan, NY 1830", 3 5/8" x 2 3/4", paper backing stained, maple framed with gold liner. 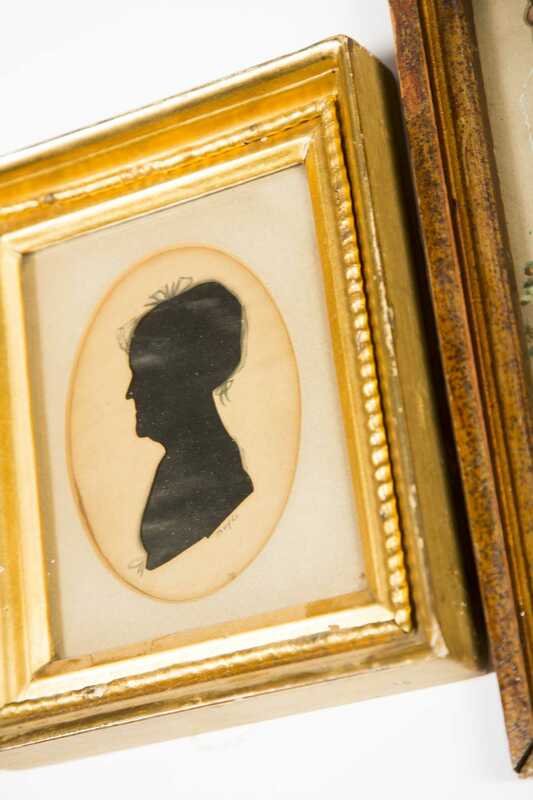 C) Oval cut profile of a woman with a bonnett, written note on reverse with name and date 1833, age 42, stains. 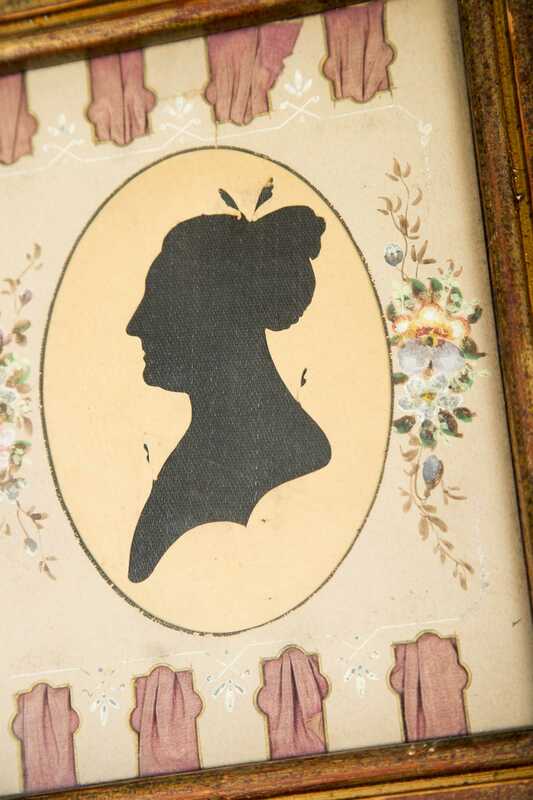 D) Cut and painted profile of Beulah Lucy Ellis (1740-1815), signed lower center "Doyle", 4 1/2" tall oval, matted and framed under glass, history on reverse label.